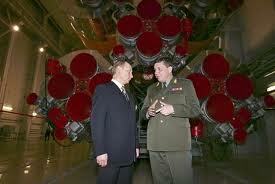 Vladimir Popovkin and Vladimir Putin (Source: armybase.us). On October 7, 2011, Roscosmos Head Vladimir Popovkin was summoned to speak before the State Duma (Parliament) of Russia on the subject of the recent space failures that plagued the Agency in 2011. Mr. Popovkin made a frank report about the causes and aftermath of the recent anomalies, then proposed a detailed review of the prospects of Russian space industry as far forward as 2050; finally, he set the new priorities of the Russian space programme. Proton-M – Express-AM4 lunch (Source: Roscosmos). 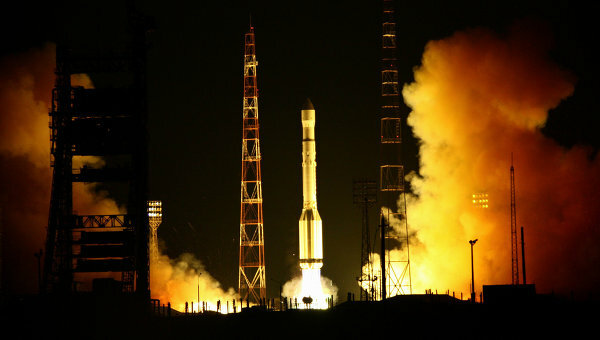 Mr. Popovkin informed the deputies that the Express-AM4 spacecraft, launched on the night of 18-19 August, missed the nominal orbit because of “an error in the upper stage mission sequence”. “It would be easy to explain the failure by a programmer’s mistake, but the flaws are rooted much deeper,” he emphasized. “There was a number of officials supposed to control the process”. The launch failure of Soyuz-U, carrying a Progress cargo vehicle on 24 August was triggered by “a contamination in the gas generator fuel line, which means a manufacturing defect”. According to the Roscosmos head, the situation required “urgent corrective measures”. According to Popovkin, 18 RD-0110 engines, used for the Soyuz third stage, has been recalled for additional checks, which confirmed that the 24 August failure case was “a real one-off”. Mr. Popovkin reported on “the urgent corrective measures”, such as a decision, concurred by the government, to establish an “official quality control system” at Roscosmos. The deputies mentioned the possibility to undergo “military acceptance” – a system in place that allow on-site representatives of the Defence Ministry to accept or reject components and assemblies to be used in Defense missions – but this proposal was rejected. Popovkin supported the idea of an independent quality control system, to complement the existing company-level Quality Control Departments. Despite the proposed urgent remedial steps, Popovkin acknowledged a “deep-rooted crisis”, caused by “outdated regulations and manuals elaborated during the planned economy period and no longer valid in the market environment”, “considerable fixed asset depreciation”, a “technology gap” and the fact that “45 per cent of employees are 60 years of age or even older”. As a result, Russia’s share of the world space services market “which stood at about $267 billion in 2010” is not greater than 3 percent. Roscosmos will establish a rocket-building holding on the premises of the Khrunichev Center and will replace the management of the Khrunichev Center and its subsidiaries in order to enhance launcher production management and control “All of the conditions needed to replace the management ought to be created,” Popovkin said. 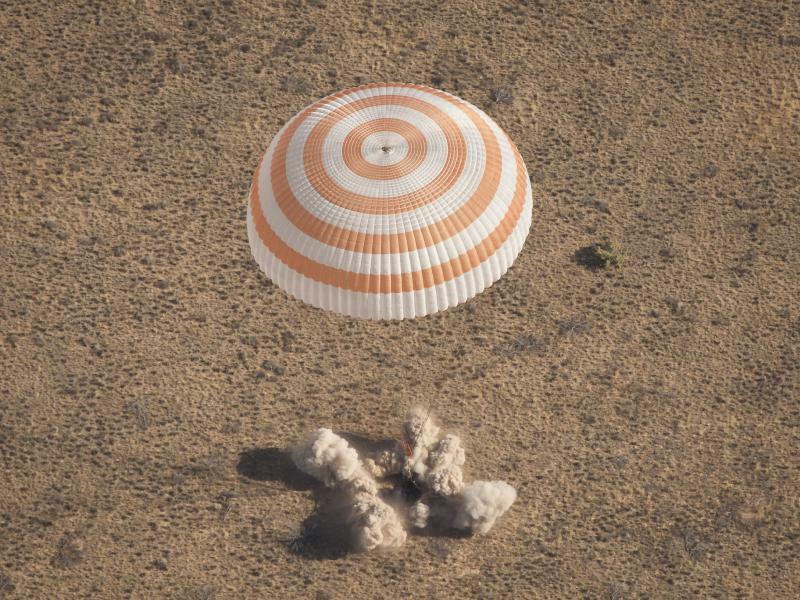 Soyuz TMA-21 lands in Kazakhstan after a 162 days mission (Credits: (NASA/Bill Ingalls). According to Popovkin, navigation, Earth monitoring, weather and communication satellites are to be prioritized, followed by space science and human spaceflights. “By 2015, we are planning to increase the number of Earth observation satellites [in orbit] from five to 20, operational Glonass navigation satellites from 24 to 30, communications and Kospas-Sarsat satellites from 26 to 48,” said Popovkin about navigation and Earth observation. He remarked that Russia currently occupies only 3 percent of the commercial services segment of the global space market, while at the same time it conduces 40 percent of global space launches annually, a condition he referred as Russia being a sort of “space cabman”. About space science and Moon exploration, the second priority, he said that the Moon will become the long-term priority until 2050, as opposed to Mars studies promoted by the previous Roscosmos management: “Manned Martian or asteroid missions are not to be expected in the near future,” he said. 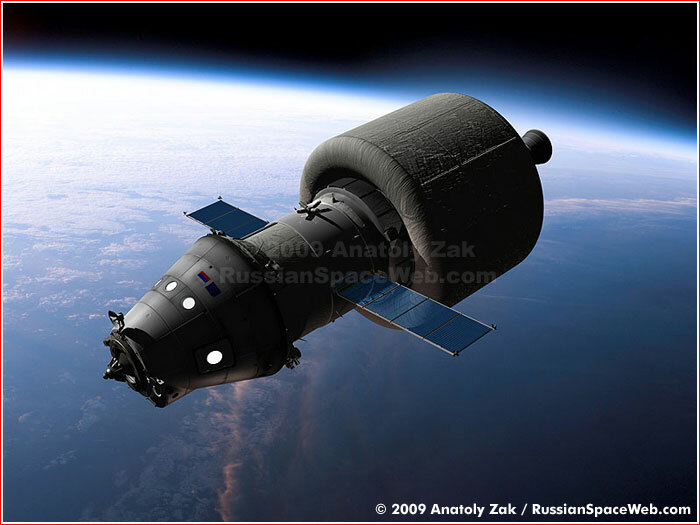 Artist conception of the PPTS equipped with a booster stage to escape the Earth’s gravity and reach lunar orbit (Credits: Anatoly Zak, RussianSpaceWeb.com). A significant news in Popovkin’s report was the cancellation of Russia’s large Rus-M launcher due to financial constraints. Rus-M was intended to carry the nation’s new six-person crew vehicle from the Vostochny spaceport. The project, behind schedule and under budget, was unable to meet deadlines. Popovkin suggested instead to upgrade the Soyuz with new first stage engines and larger strap-on boosters: “We have come to the conclusion that we do not need a new rocket, we can continue using those we already have,” he said. Despite the drastic cuts, the agency is planning to carry on with the design of the Advanced Manned Transportation System, the prototype of which was exhibited at the MAKS air show. “This six-seat vehicle is being constructed under the principle of “open architecture”, depending on whether we chose in favor of a lunar flight or a strategicroute to Mars. However, the Russian space exploration’s strategic development line throughout 2050 is more directed towards the Moon, whereas manned flights to Mars and asteroids are not a short-term perspective,” explained Popovkin. not to phase out manned programs, because “only a country capable of launching and landing a manned vehicle can be called a great space-fairing nation”. The deputies wished Mr. Popovkin to succeed in market competition, suggested a number of steps to develop education and revive science.